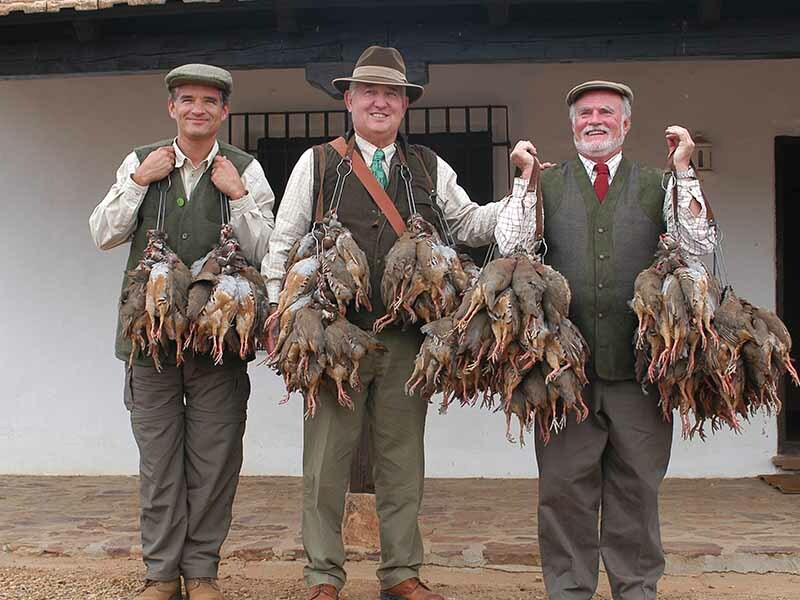 It is has been a long time tradition in Spain. 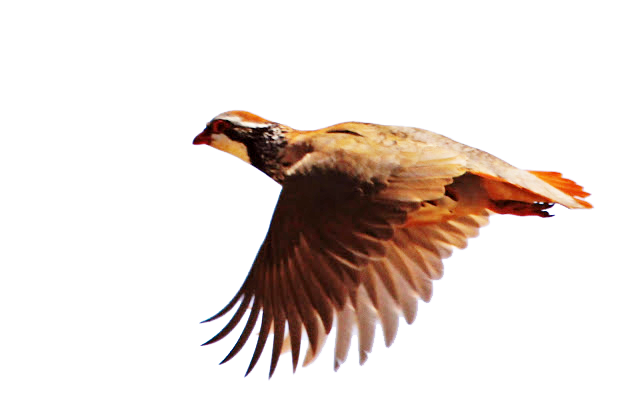 The Red Legged Partridge is a fast flying bird that follows the contour of the terrain, giving the hunter a wide variety of shots, making the experience fun and with lots of action. 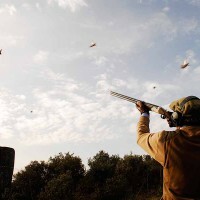 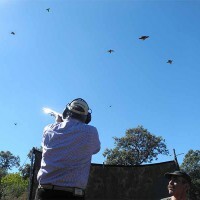 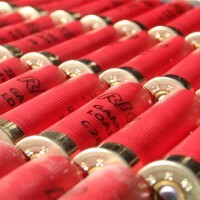 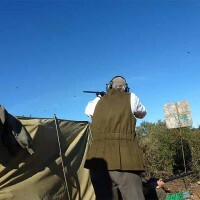 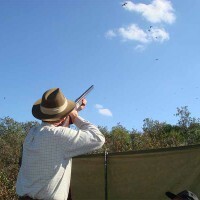 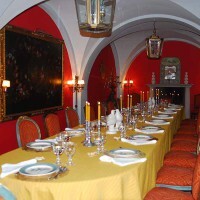 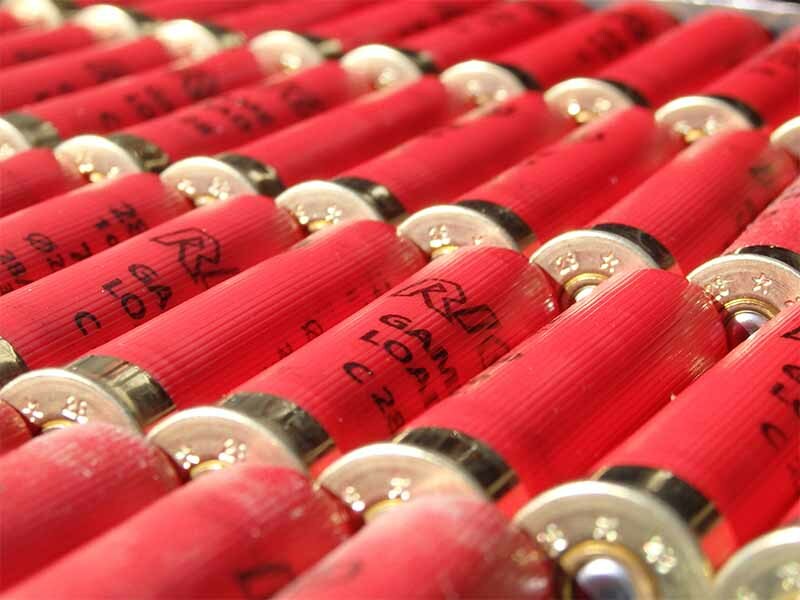 We normally organize groups of 6 to 8 shooters, for a program of three days shooting and four nights. 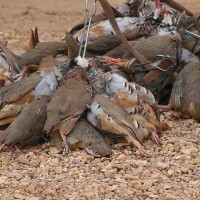 The average bird bag for a day is 500, totaling 1500 birds between the whole line. 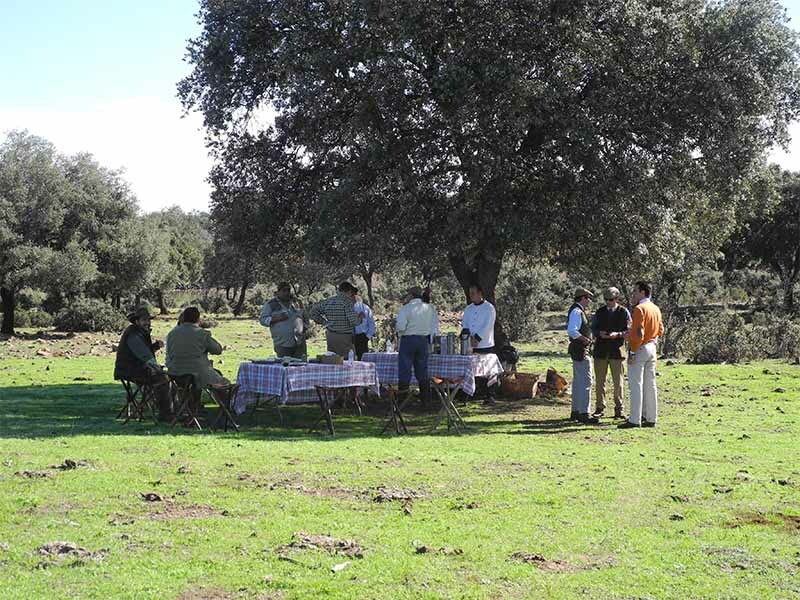 We normally do four different drives every day, with a “taco” or light snack in between. 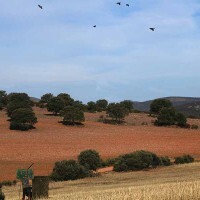 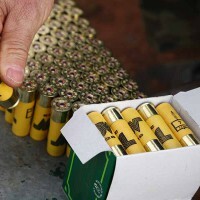 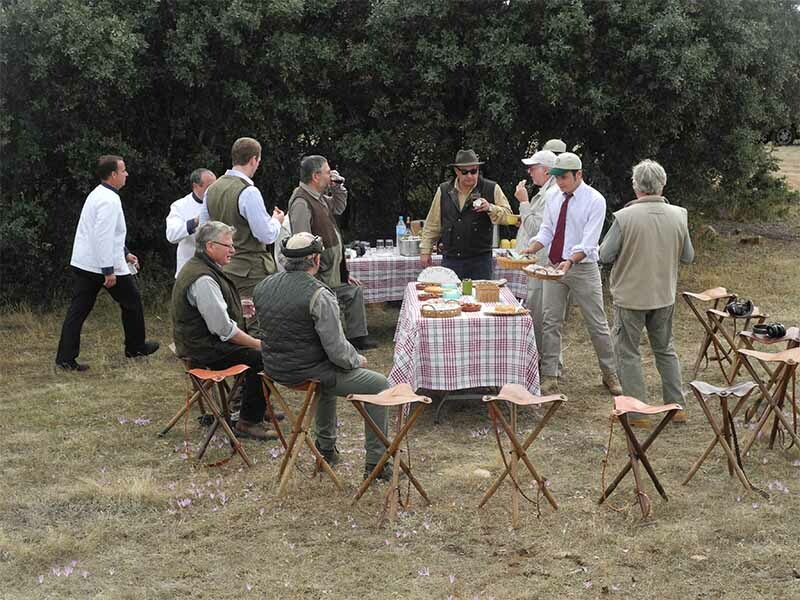 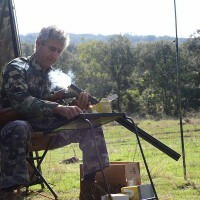 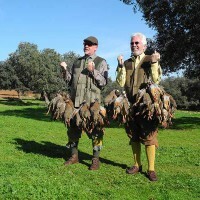 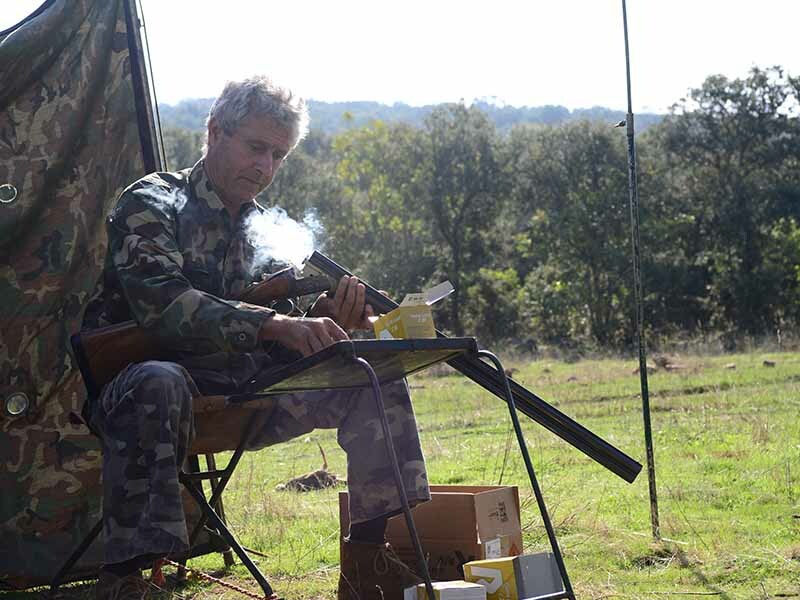 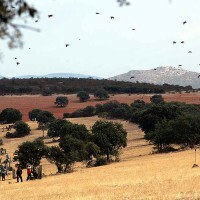 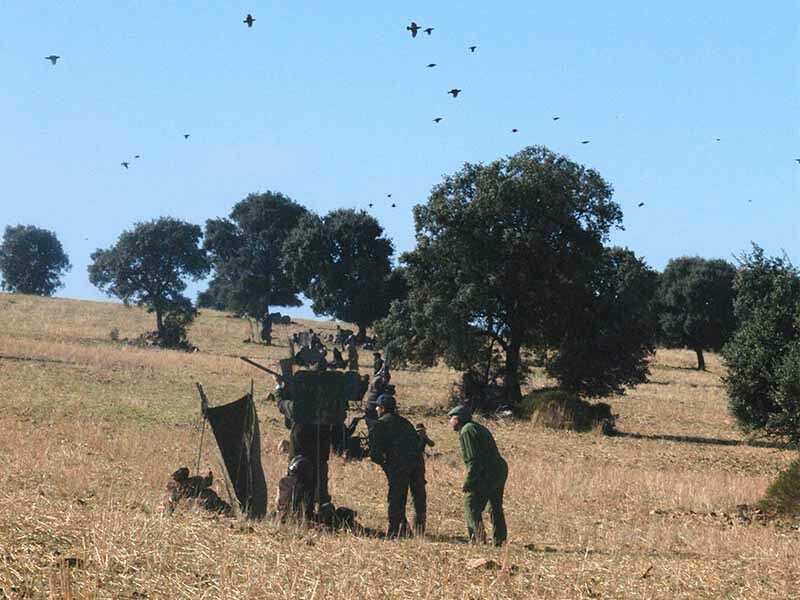 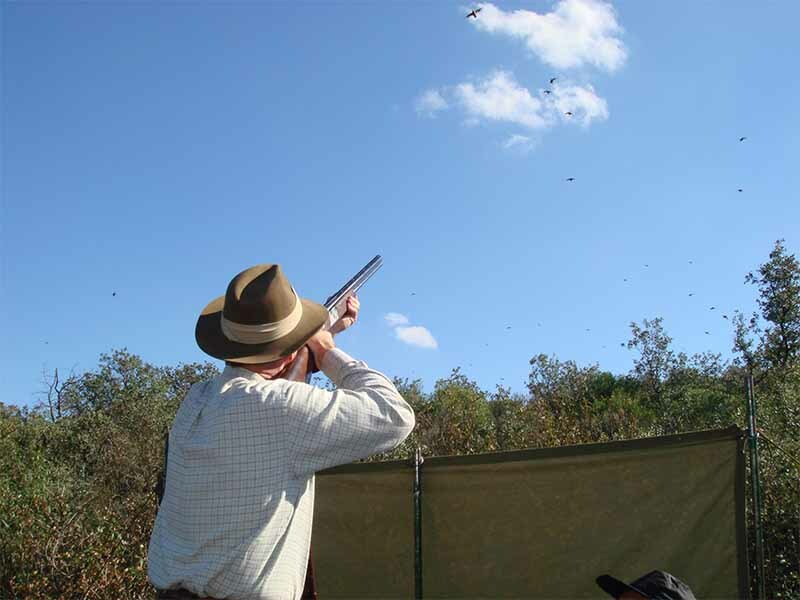 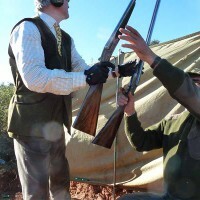 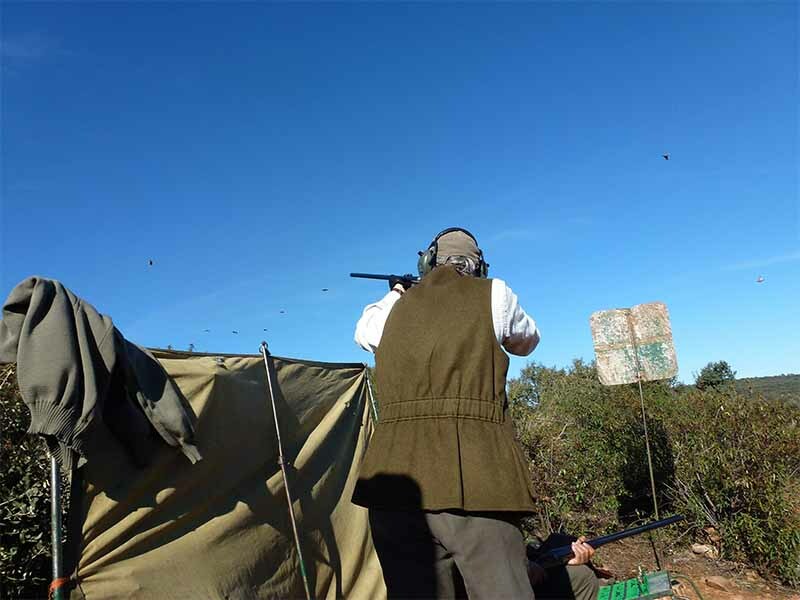 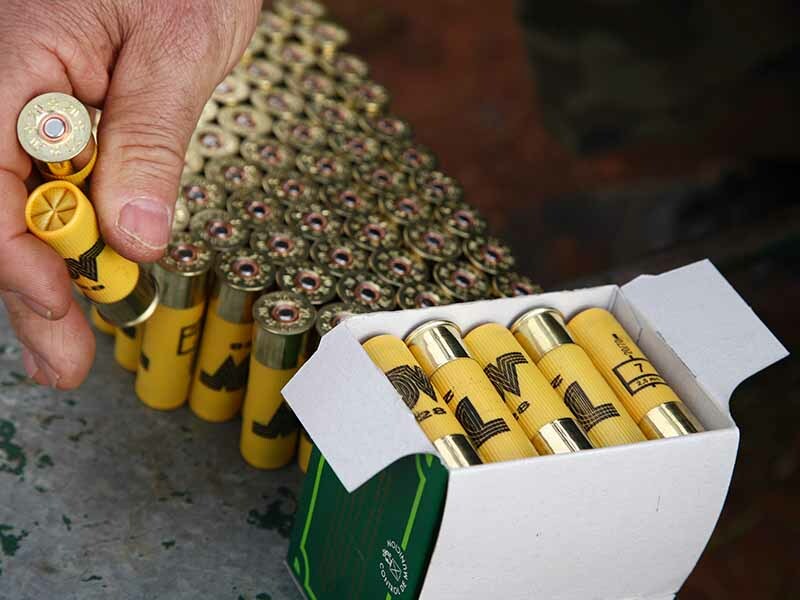 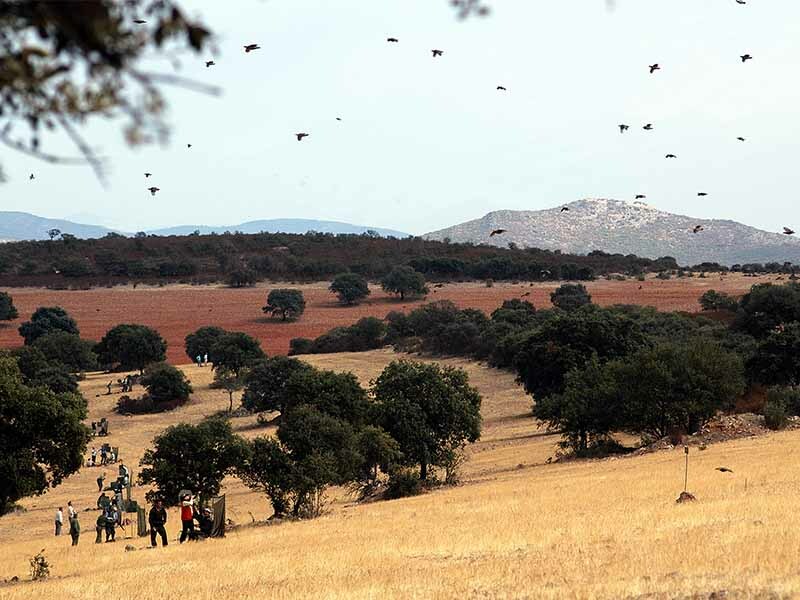 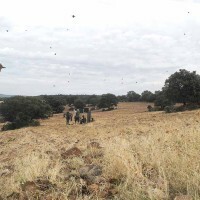 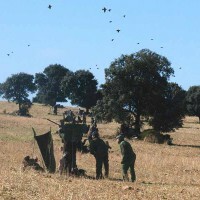 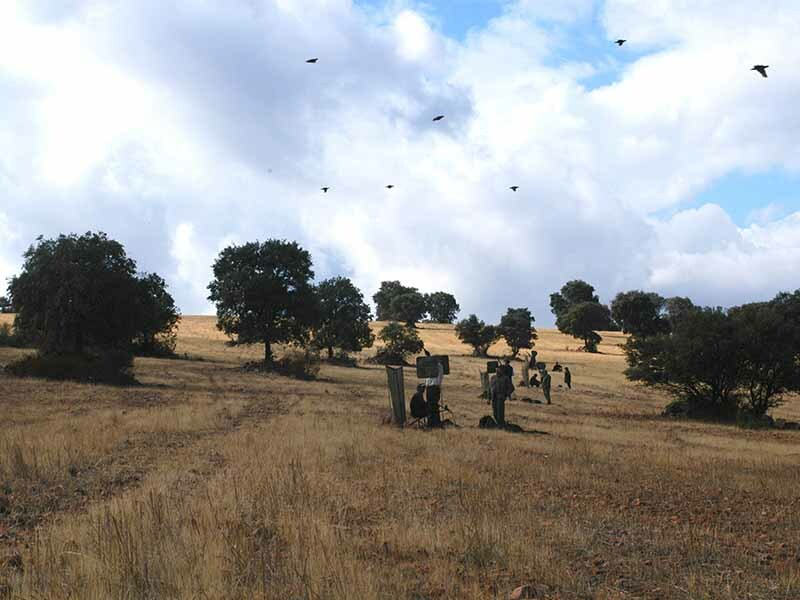 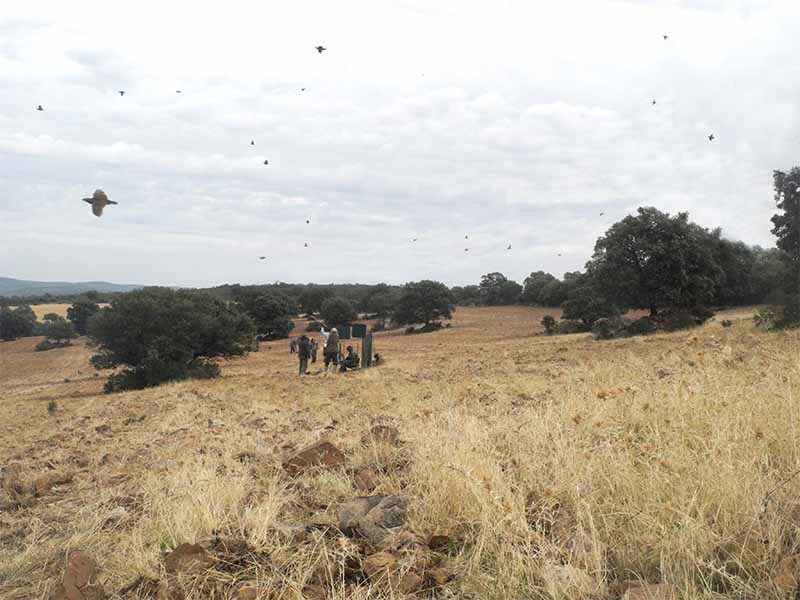 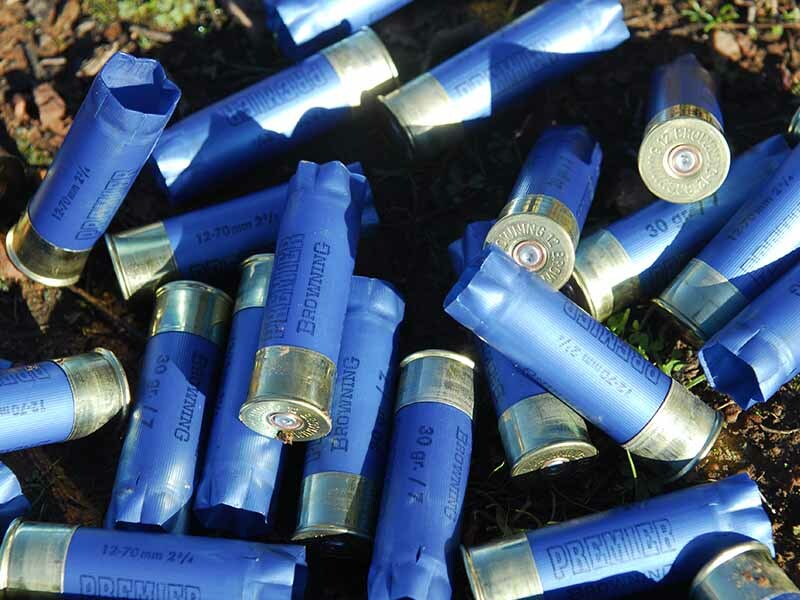 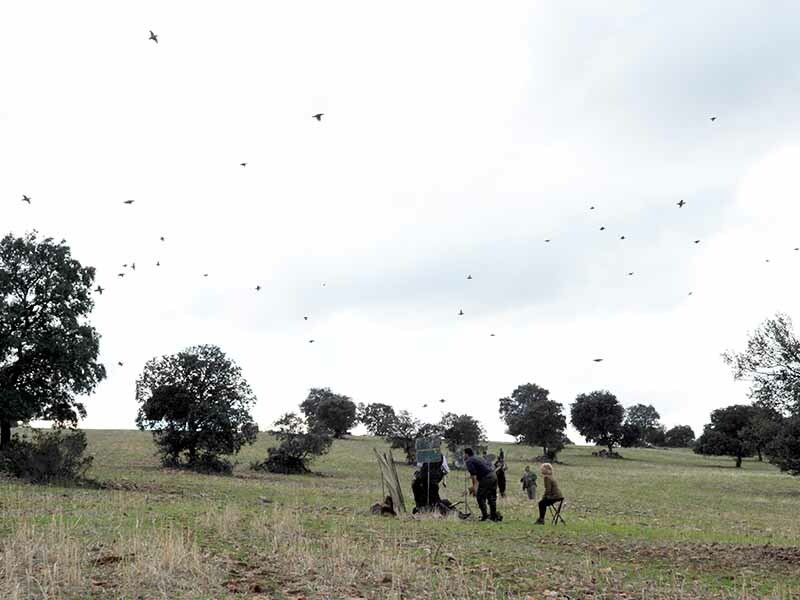 Each shooter has a loader and a “secretario” which carry all the guns and shells around the field, and help the hunter with the two guns of the same gauge that are recommended, as the birds normally come in flocks and very fast. 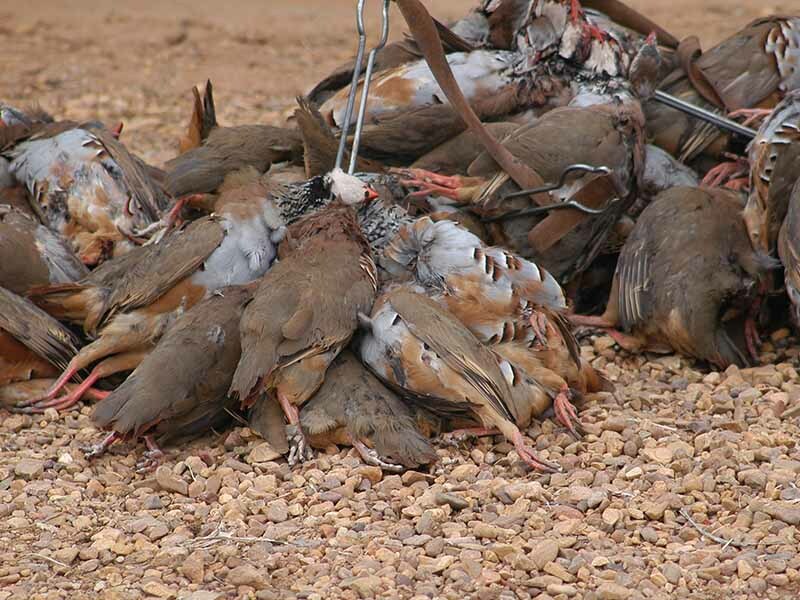 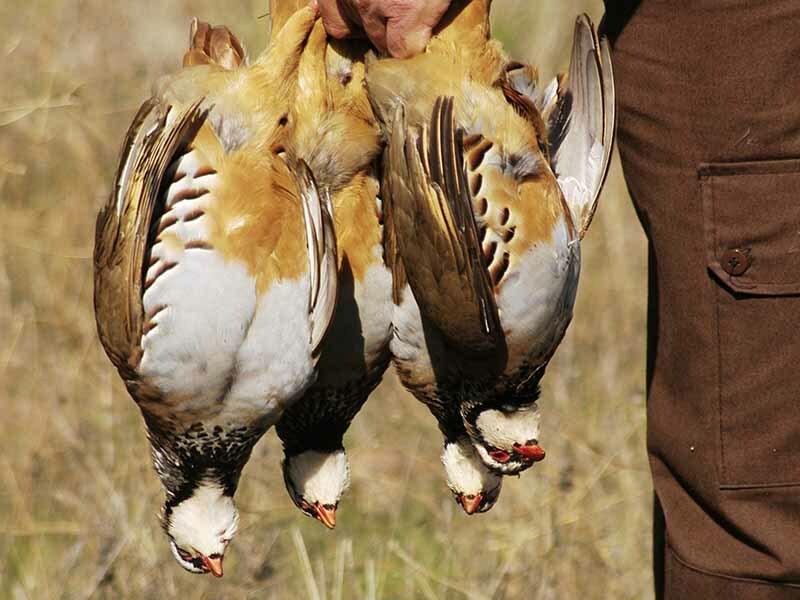 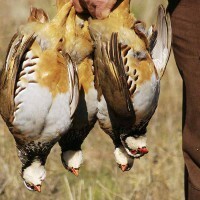 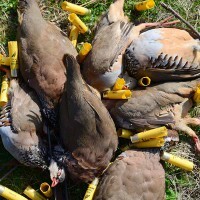 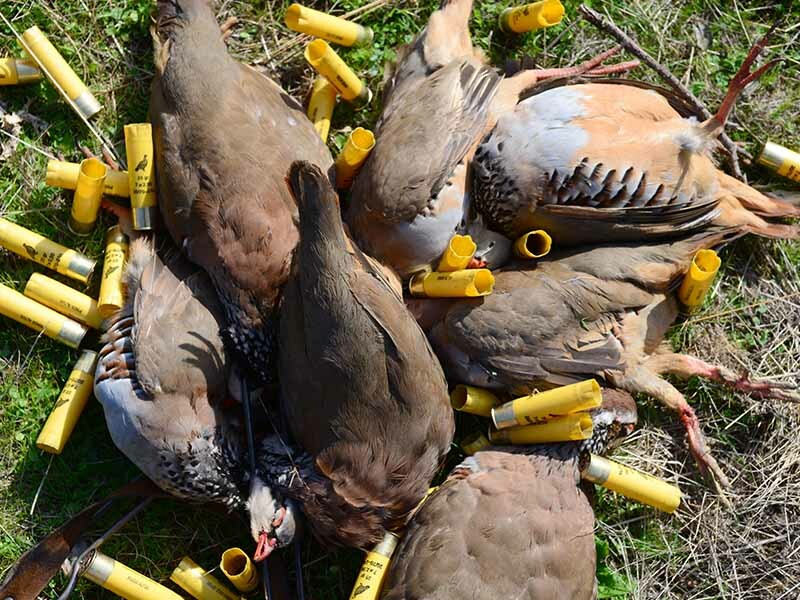 The partridges are one of the most prized and valued among worldwide bird hunters. 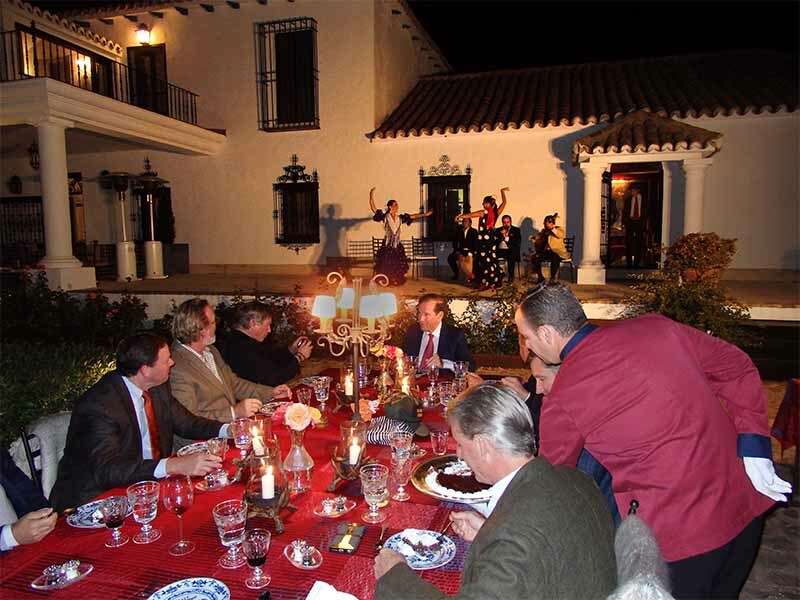 Care is taken to perfection of every detail so that our guests and friends are able to enjoy an all around unforgettable experience. 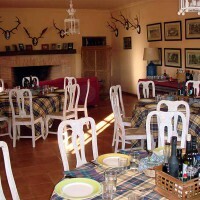 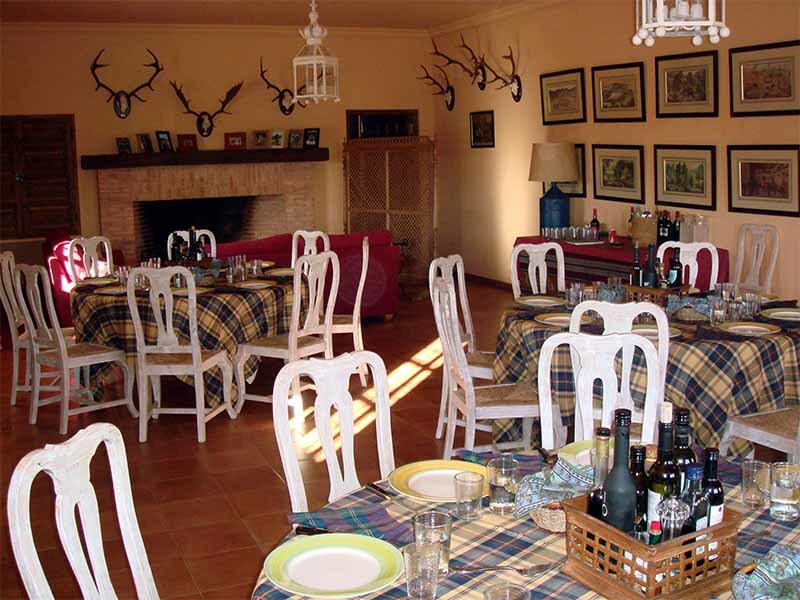 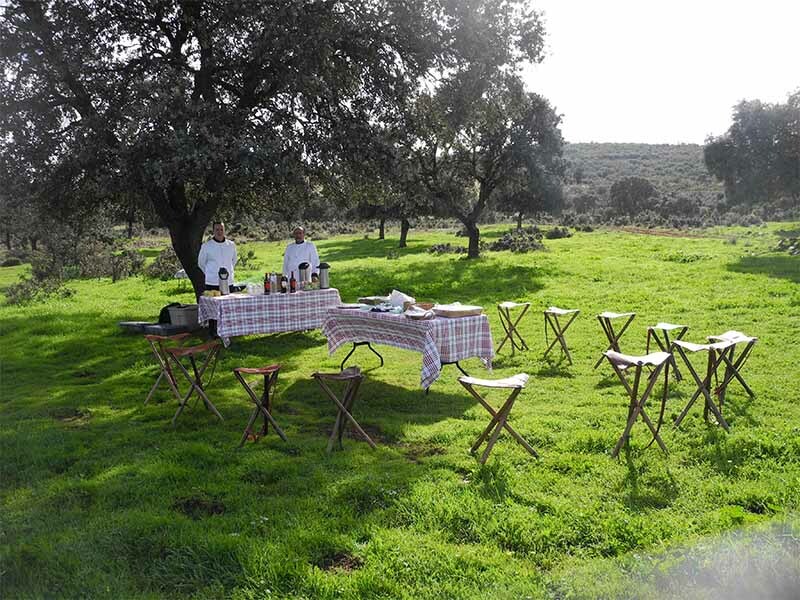 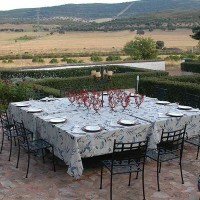 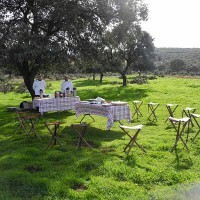 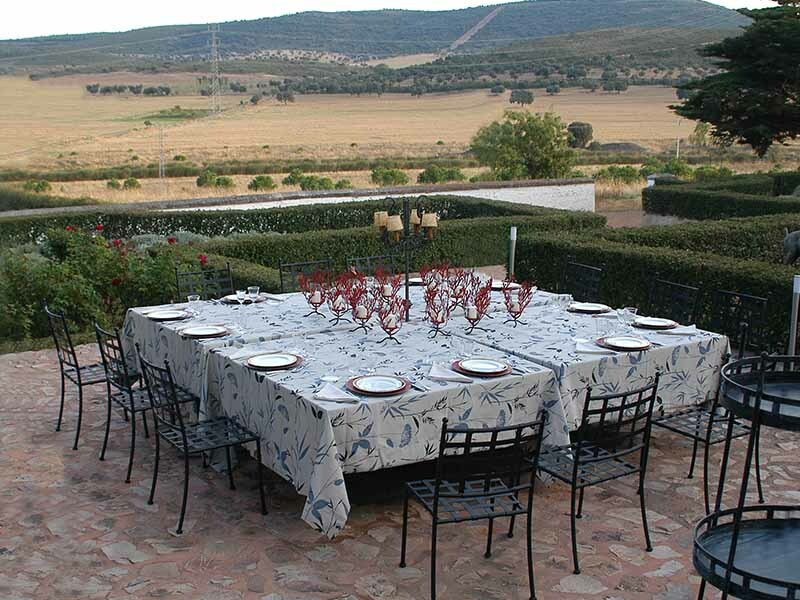 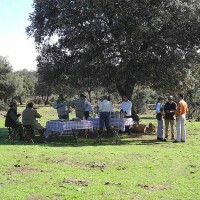 The accommodation during the shoot is at our “Pinos Altos” lodge only a 15 minutes drive. 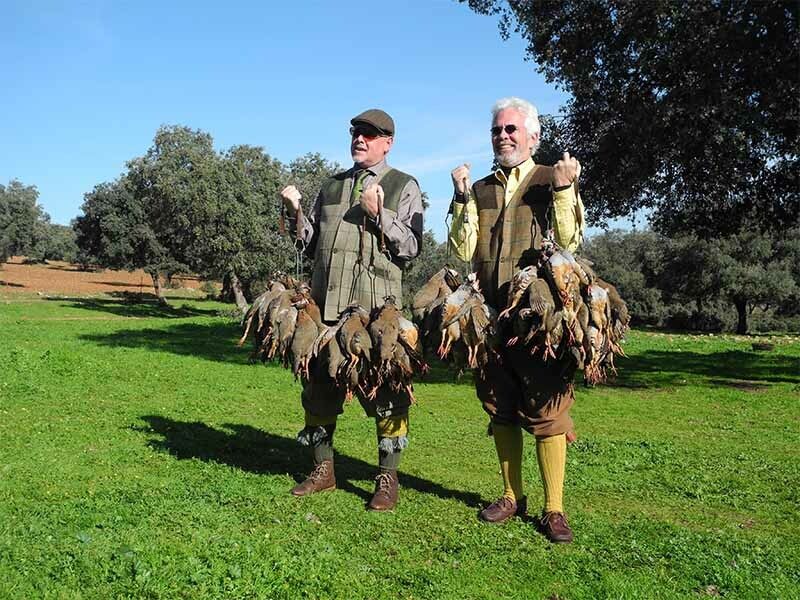 Fernando and Koki our outfitters are a husband and wife team that are not only wonderful hosts but are accomplished big game hunters and wingshooters themselves. 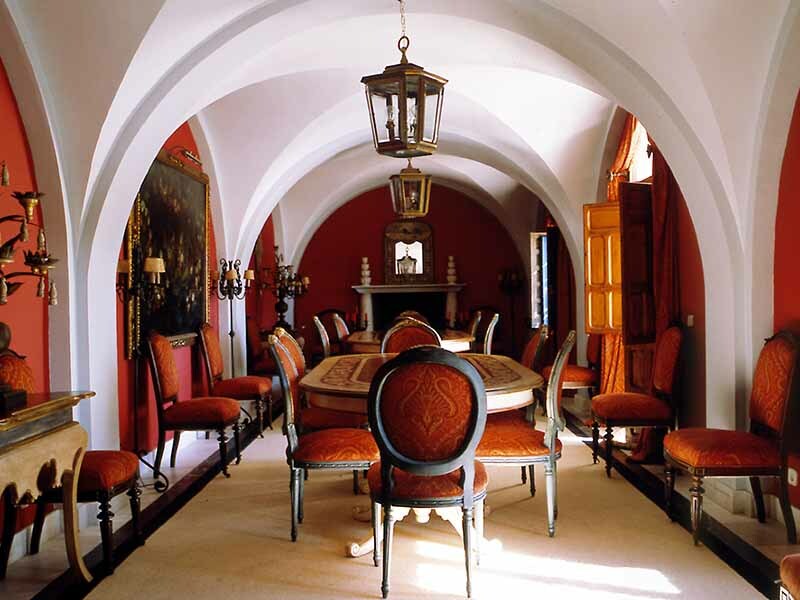 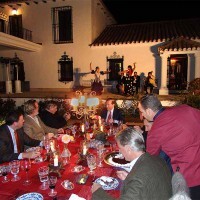 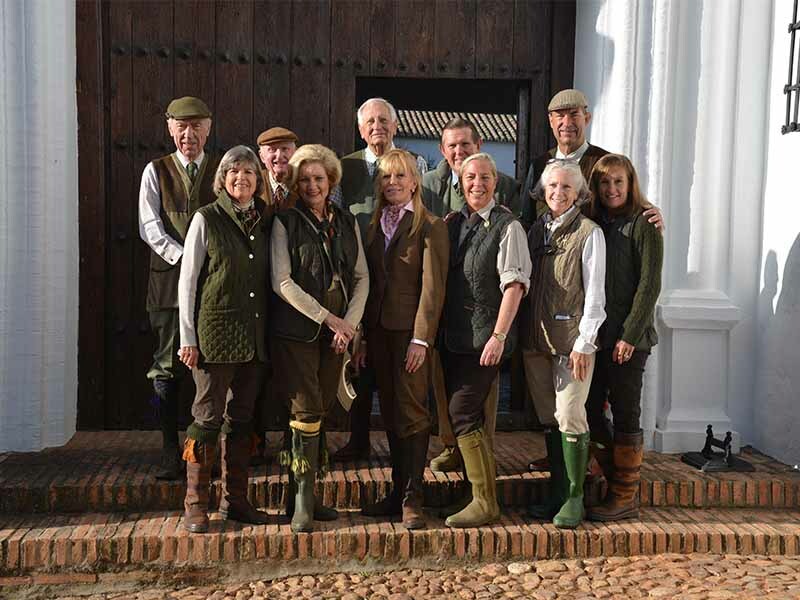 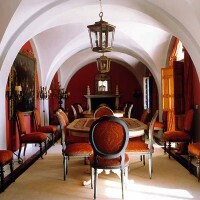 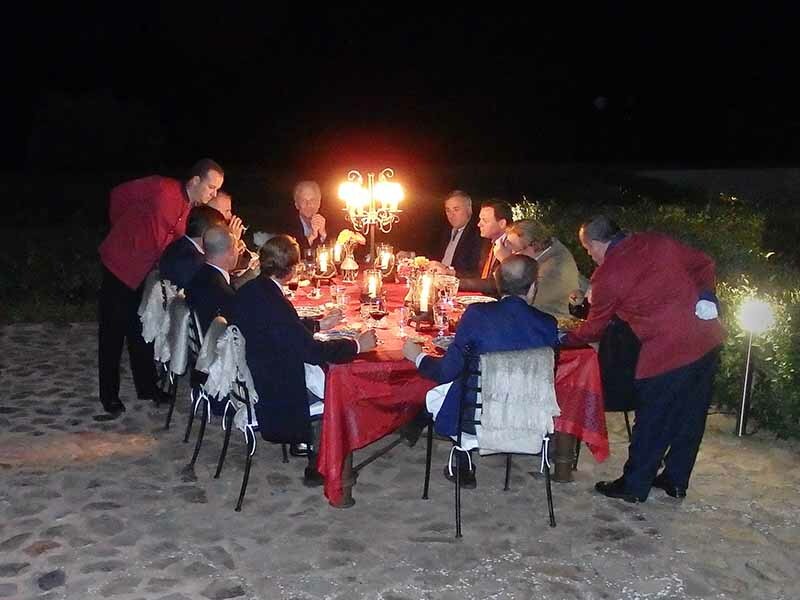 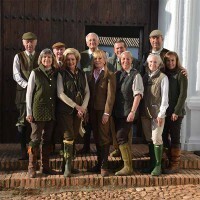 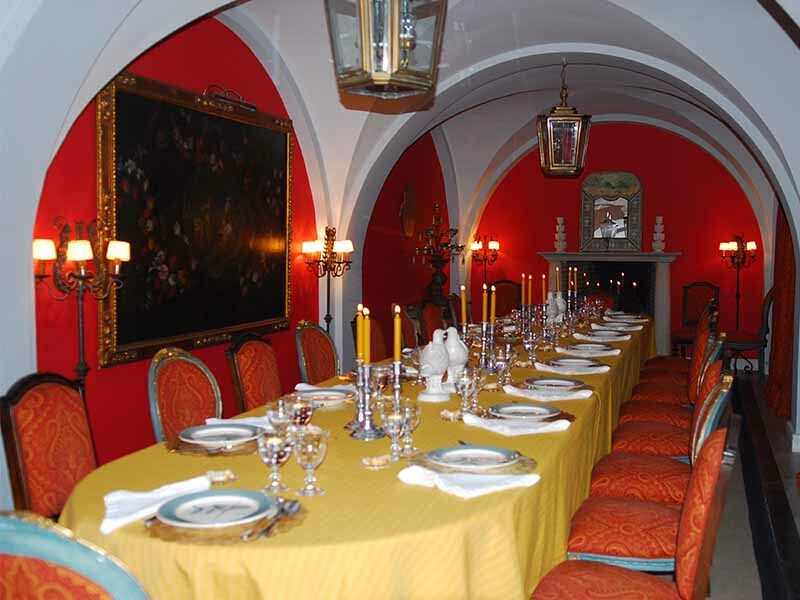 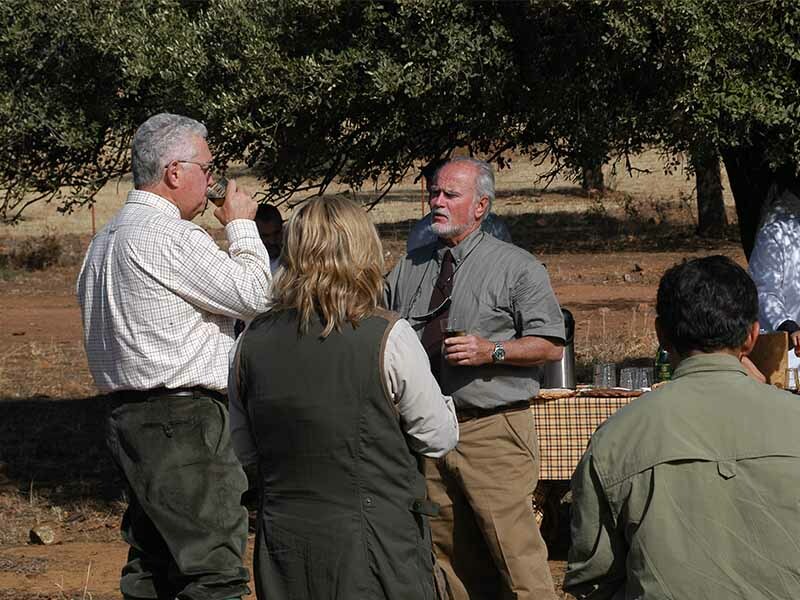 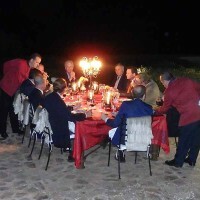 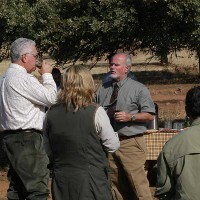 Fernando Saiz and Koki have been hosting groups at their personal estate for over twenty years, some of which have included royalty, US Presidents and other international dignitaries. 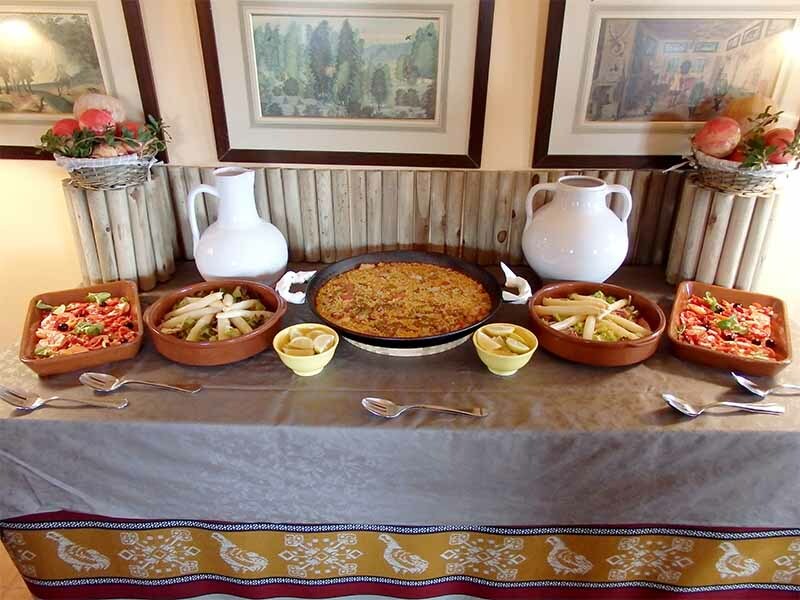 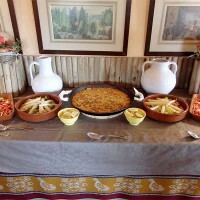 The staff at Pinos Altos is a delight and the service is impeccable as the lodge manager Beltran Cotner runs a tight ship along with his wife Patricia who is the chef at Pinos Altos and never fails to impress with her incredible dishes and rich desserts. 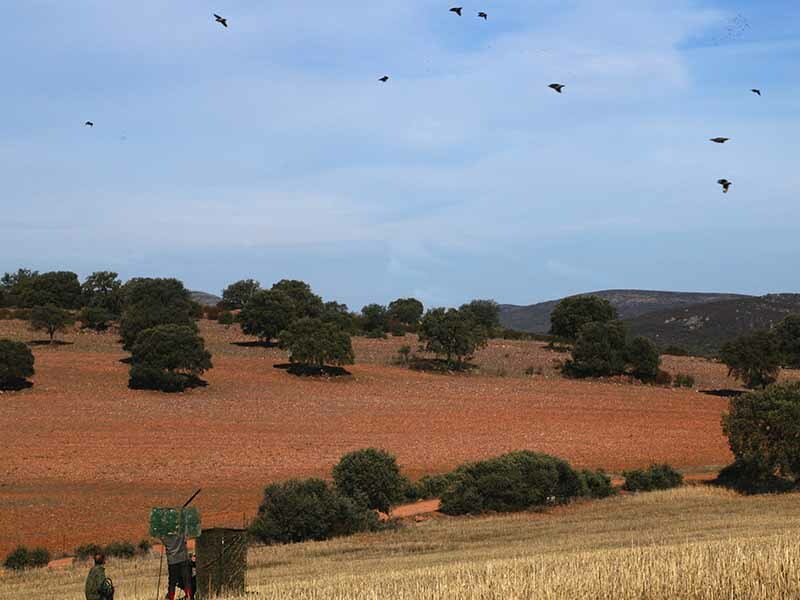 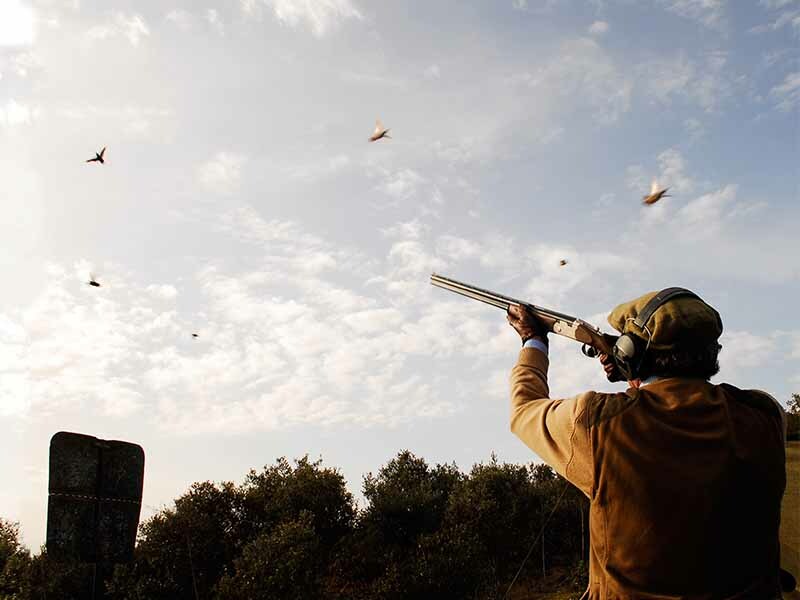 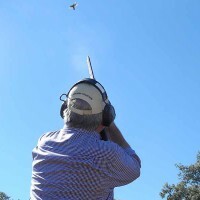 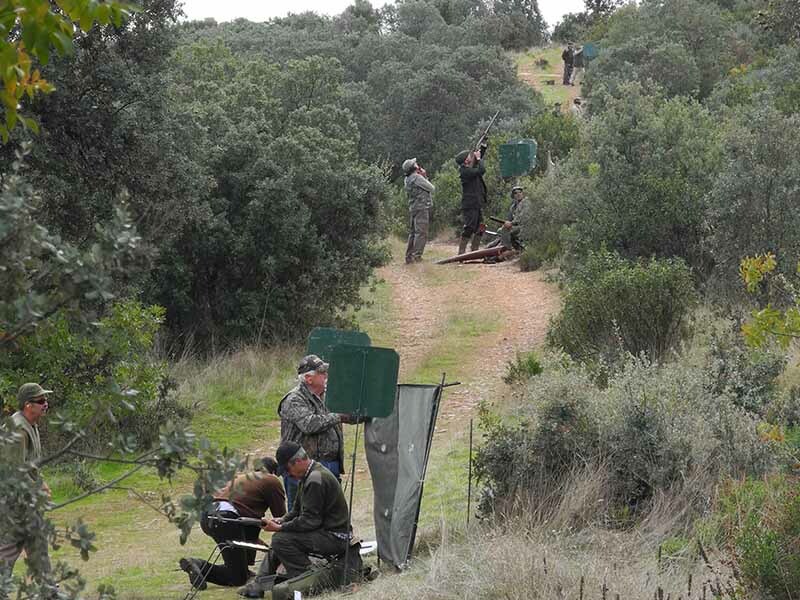 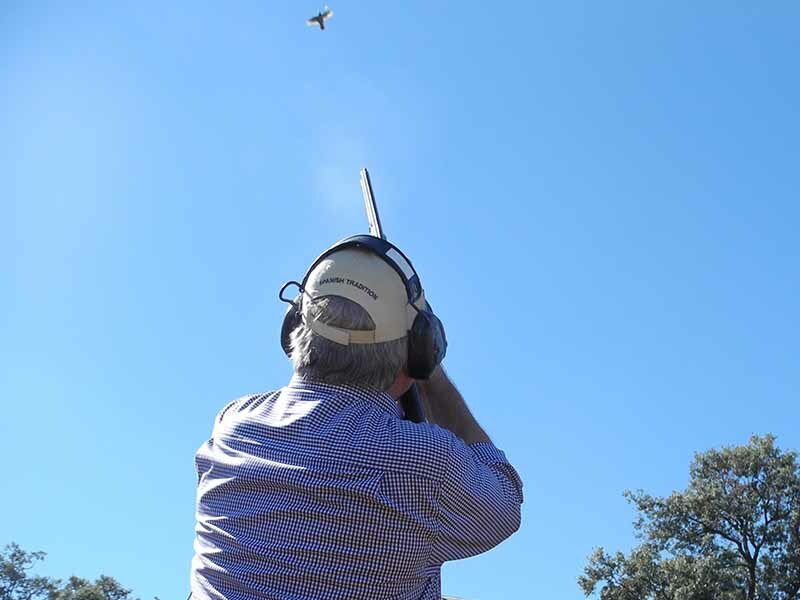 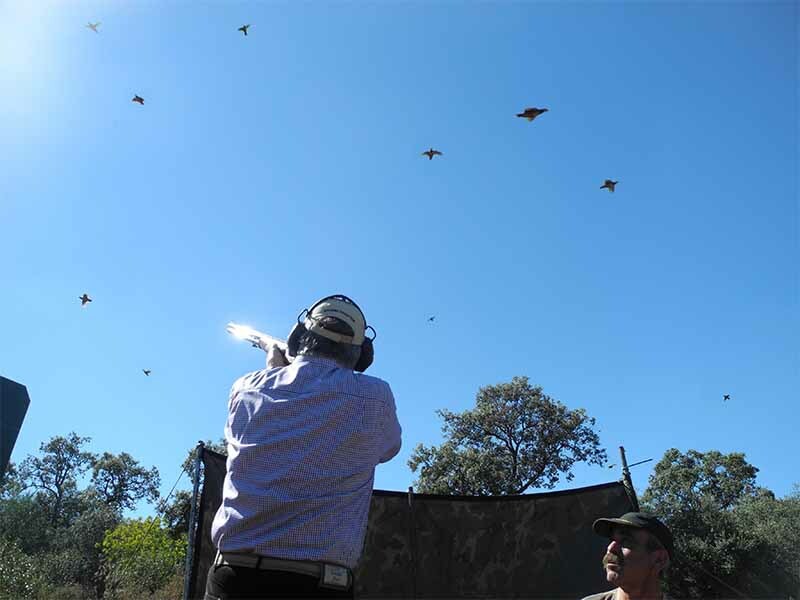 Traditional driven shooting is some of the most exciting wingshooting you will find in the world and very few do it as well as Pinos Altos. 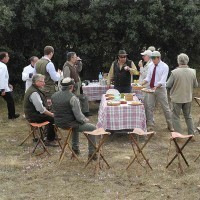 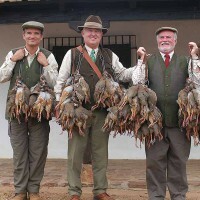 The hunt is organized by the game-keeper and he is in charge of the location and placement of the shooters and beaters. 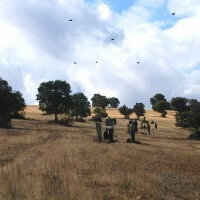 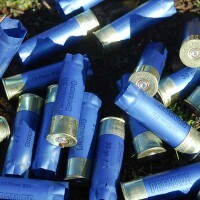 Each shooter will have a loader and a secretary that will assist them in the field for the entire trip. 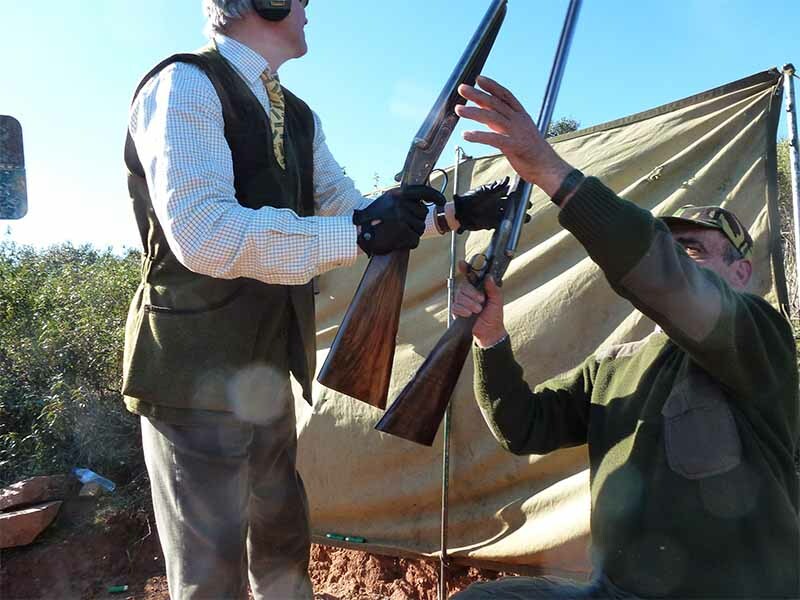 These two men will become your best friend while in the blind as they keep your gunloaded and provide an extra set of eyes for the incoming partridge. 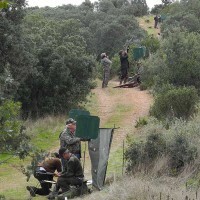 The shooting is some of the fastest and most challenging you will find anywhere.